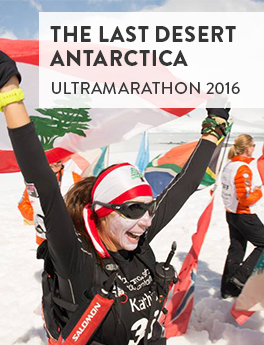 Kathia Rached ran for himaya during The Last Desert Antarctica Ultramarathon 2016! There are no words to thank Kathia for supporting himaya in its mission to make child protection a right across Lebanon! There are only few brave runners who took such challenges and Kathia Rached was one of them. She did not give up and she faced these extreme conditions for she wasn’t running only for herself. She pushed, stood and fought for Lebanon and for a cause she holds dear to her heart. Kathia finished as the 3rd female in the latest desert Antarctica Ultra marathon.